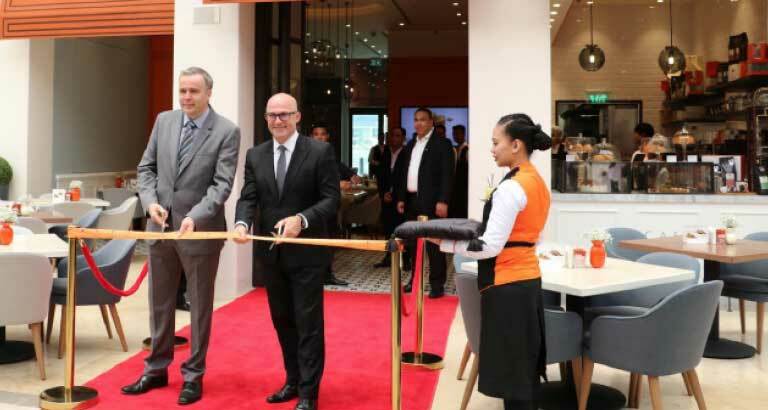 The innovative Café Coco has opened its first outlet at The Avenues — Bahrain. The outlet offers a contemporary and trendy twist on café culture, with a creative menu that allows customers to experience international cuisine with hints of familiar local flavours. The menu is full of original dishes, a choice of crisp salad portions, BBQ Beef Sliders, Coco Classic Risottos and warm pasta dishes — perfect for a cosy lunch or dinner experience any time of the week. Dessert entails gorgeously created patisseries, beautiful macarons and the all-time sweet favourite, the oven-baked Chocolate Chip Cookie.